The new facility accepts a variety of recyclable materials from the community. It also houses classrooms and offices, a conference room, a first aid room, men’s and women’s showers, as well as solar panels and solar tubes for indoor lighting. The $10.3 million project on the 51-year-old residence hall included mechanical, plumbing, electric and lighting systems replacement, new energy-efficient windows, a new roof, new bathrooms, updated laundry facilities, and community study and recreation spaces. 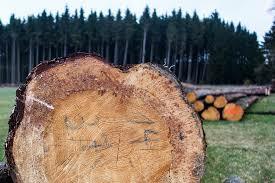 Recycled content and low-VOC materials were used. The newly renovated building designed for study and collaboration space includes systems for reusing wastewater, and use of regional and recycled materials. No additional parking spaces were added for the building during renovation. 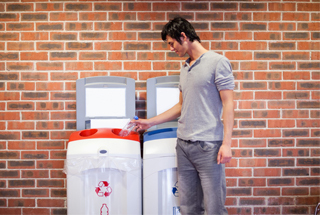 (U.K.) The two month pilot is intended to determine the viability of rolling out a permanent paper cup recycling service. During the pilot, paper cups, including those used for coffee and soft drinks, will be collected separately and taken to a mill where the polymer plastic liner will be separated so all the paper fiber can be recovered and recycled. For the first time, fans will be able to recycle bottles, cans and paper products inside the stadium via single-stream recycling receptacles. A game day food donation program has also been developed to decrease waste from the stadium while providing consumable food to local nonprofit agencies. After two years of research and assistance from the Dartmouth Office of Sustainability and Dartmouth Dining Services, a student helped launch the Green2Go food takeout program, which replaces the disposable to-go containers with reusable ones. The program involves a one-time payment of $4 for a reusable container. Used containers can be dropped off at any dining location on campus. New visually appealing collection bins have been installed across campus to accept small electronics, plastics and food donations. Previously, cardboard boxes were used to collect food donations. Purdue University won the Waste Minimization category; St. John's University won the Food Waste Reduction category; and Towson University won the Education and Awareness Campaign category. Unlike traditional RecycleMania categories that rank based on recycling, food waste or trash weights, this is a judged competition that recognizes schools based on the creativity and impact of their efforts. North Lake College and Stanford University won honorable mention. The UW Campus Food Shed is a new program that gives students and faculty access to free vegetables and produce, stocked by university agriculture researchers and local farms with excess crops. Many of these excess crops would otherwise be composted or thrown out. The college is relocating and repurposing three 1,300-ton residence halls to make room for two brand new buildings on its Towson campus. The three-week relocation will cost Goucher about $7.6 million, to be paid for through a combination of debt proceeds and donor contributions. Keep America Beautiful announced that Sacramento State is now its first collegiate affiliate and that it hopes the partnership will result in a model that can be adopted at colleges and universities across the nation. 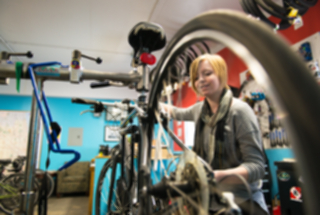 Through the partnership, students will have access to volunteer and internship opportunities. The university will be able to share data from student and faculty research, as well as tap additional resources such as grants, research and programmatic resources available through Keep America Beautiful. 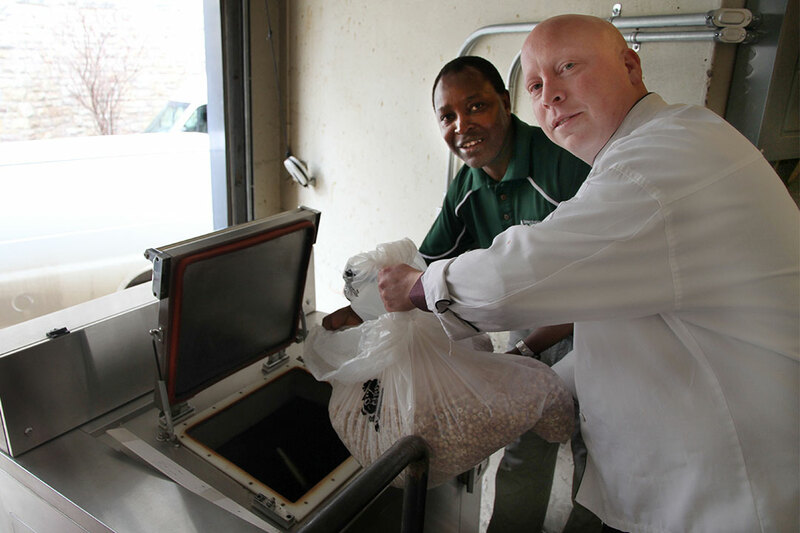 (U.K.) The 12-month pilot program aims to collect spent coffee grounds from catering outlets across campus that will be sent to a recycling company for processing into biofuels, such as fuel starter logs and pellets for industrial use. 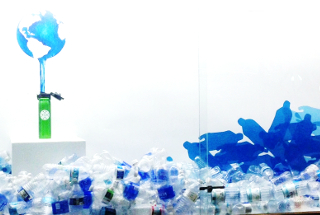 (Hong Kong) Ditch Disposable, a university-wide waste reduction and awareness campaign, was launched in spring 2017 on behalf of World Water Day with the announcement of a new policy that seeks to eliminate on-campus sale and distribution of single-use water bottles of one liter or less in volume. The Pac-12 Road Zero Waste Bowl provides a friendly and spirited platform for Pac-12 universities to engage on best practices in waste diversion and to learn how each campus strives toward zero waste goals. The winners of the Zero Waste Bowl for the 2016-17 basketball season, in order of rank, are the University of California, Berkeley, diversion rate of 94 percent; the University of Colorado, Boulder, diversion rate of 92 percent; and University of Arizona, with a diversion rate of 65 percent. With a recycling rate of more than 83.9 percent, Loyola Marymount University is the top school in the Diversion category, while the Rhode Island School of Design is first in the Per Capita Classic category. RecycleMania is an annual waste reduction and recycling competition among colleges and universities, managed by Keep America Beautiful. PepsiCo Recycling Zero Impact Fund will give the university $5,750 to establish a group of Student Sustainability Ambassadors that will run campus events that focus on conserving energy, reducing waste and cutting greenhouse gas emissions. After reading a blog detailing cotton composting at Fashion Institute of Technology in New York City, a student in the university's College of Textiles launched a pilot program to collect cotton waste and compost that waste at the university’s Compost Learning Lab. The aim of the project is to figure out what works, doesn’t work and whether there’s future opportunity to implement a permanent cotton compost program. 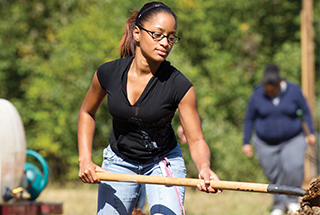 The nonprofit Green America’s Better Paper Project launched One Million Trees recently in an effort to encourage higher education institutions to publish alumni magazines on recycled paper in order to save trees and reduce landfill waste. Green America estimates that if all colleges used 100 percent recycled paper for their alumni publications, this could have annual savings up to one million trees and enough water to fill over 700 Olympic-sized swimming pools. The Conservation Cowboys, an initiative that aims to reduce waste and resource use at athletics facilities and events, was recently piloted at an athletic event that resulted in the diversion of 266 pounds of the total 659 pounds of waste materials. A total of 35 volunteers from eight student organizations and four operational and academic units volunteered in the event. Leftover meals that went unserved in the dining halls are now being gathered up by students, packaged into meals and delivered by volunteers from several different student organizations under an umbrella initiative known as "The Campus Kitchens Project," a leading national nonprofit empowering students to fight hunger and food waste. Student volunteers pick up food three nights a week from campus dining halls, chill the food for 24 hours, and then package the meals for deliveries to multiple affordable housing communities. With the help of 75 student volunteers, UVA Athletics, Aramark and the Office for Sustainability, fans at the sold-out Atlantic Coast Conference game recycled and composted 94 percent of all waste generated at the arena as part of this year’s Game Day Challenge. 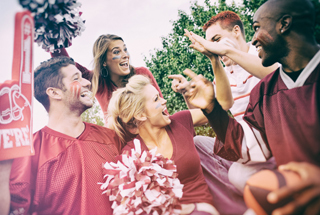 The nationwide Game Day Challenge contest promotes waste diversion at college basketball games. The recipients of its Zero Impact Fund, an expansion of PepsiCo Recycling’s college and university programs to help bring campus eco-innovations to life, are Centre College, Johnson County Community College, Millersville University, Northern Kentucky University, University of California Berkeley, University of California Irvine, University of Massachusetts Lowell, and University of Northern Iowa. Winning project proposals include compost infrastructure development, student education and engagement campaigns, renewable energy to reduce greenhouse gas emissions, zero-waste programs, a bike-share program and landfill diversion programs. In an effort to reduce contamination and increase waste diversion rates, the university will have volunteers available to instruct students about recycling correctly during a week-long recycling awareness event. New recycling bins will also be installed that have sensors thanking people who recycle. A new food waste dehydrator now aids composting at the university by producing a semi-composted material that will be added to existing outdoor compost piles and landscaping materials. The liquid removed from the food waste can be used as a fertilizer in campus flower beds. An estimated 2,500 pounds of food waste will be diverted from the landfill weekly. The university transitioned from a-la-carte to "Anytime Dining," a meal package that gives students unlimited access to campus dining halls. The new scheme has saved Dining Services from purchasing more than six million takeout containers, straws, lids and disposable utensils. Campus-wide waste sent to landfills also declined by more than 63 tons from 2015 to 2016. Students began a local nonprofit called Alumin8 that collects aluminum waste and turns it into valuable products, such as cups, night lights, trophies and plaques, and toys, that will then be donated to local shelters. Alumin8 was provided seed money from the university's Green Fund and also operates a registered student organization. With over 100 3-D printers on campus, a new recycling initiative by students is intended to tackle 3-D printer waste by grinding then melting the waste plastic, before reshaping it into a new spool that can be used for new projects. Beginning this summer, the university will introduce the reusable bag program, which aims to reduce usage of plastic bags. There will be a variety of bags for consumers to choose from, including some that will feature artwork from student designers as part of an open contest, with the winning design featured on bags beginning in the fall semester. The university distributes an average of more than 153,300 bags per year. After discovering that some to-go containers were compostable but looked like non-compostable ones, a bill was passed by the Student Government Association to include labels on compostable packaging to better inform students of a whether a container is compostable or landfill. A team of psychology students researched, designed and tested a system to compost an estimated 34,000 pounds of annual paper towel waste from the university’s student union building. The team’s challenge was to create a simple system that captured users’ attention in order to eliminate contamination and maximize landfill diversion. A pocket knife designed with Autodesk Fusion 360 by students of The New School won Best Use of Fusion 360 and a prescription medicine bottle that reduces medical waste designed by a student at North Carolina State University won Best Student Project in the fourth Cradle to Cradle Product Design Challenge, presented by Cradle to Cradle Products Innovation Institute. 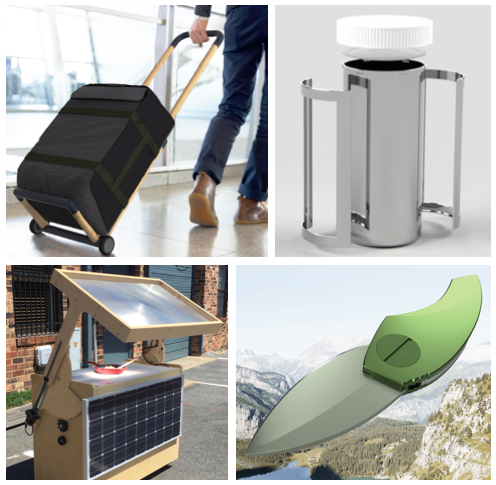 The design challenge encourages the design community to envision solutions for the circular economy, inspired by cradle to cradle product design principles. Over the past two years, several different student groups at the university have taken steps to make plastic bags disappear, encouraging campus buildings and vendors to use reusable bags instead. Now customers at the university bookstore can buy a reusable bag for 99 cents, pay 25 cents for a plastic bag or forego a bag all together and carry their purchases. 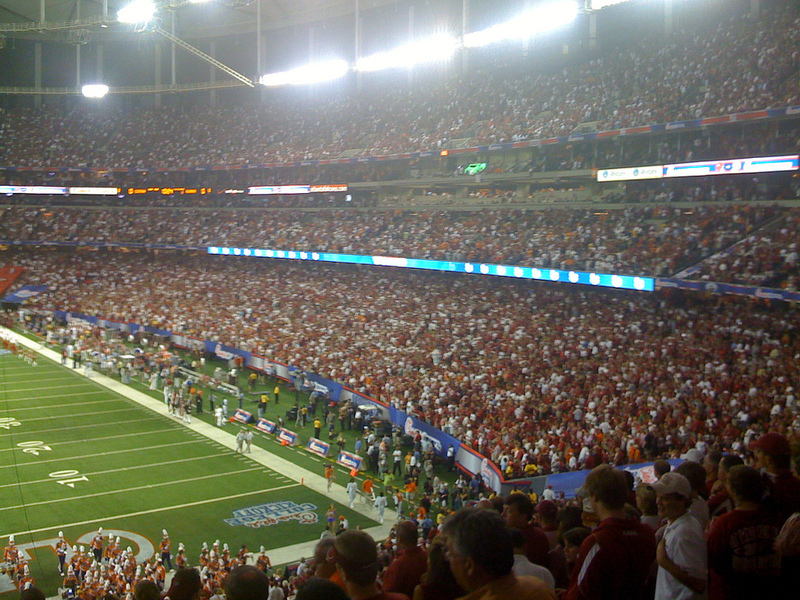 Playoff Green Project was an initiative to make the January 2017 College Football Playoff Championship game, held in Tampa, Florida, more sustainable by seeking to reduce food waste through donations, reduce solid waste by recycling and purchase renewable energy certificates. Beginning in spring 2017, the university will be rolling out glass/metal/plastic and paper/cardboard bins in an effort to make recycling easier and increase its recycling rate. Sustainability interns worked together to produce an informative video that aims to educate their peers about recycling on campus. The U.S. Environmental Protection Agency's Hazardous Waste Generator Improvements Rule applies to most colleges and universities because most generate hazardous waste. Published in the Federal Register on Nov. 28, the new updates to the rule incorporate guidance, fill gaps in the regulations that reduced effectiveness and increase flexibility to varying types of generators. At the university's Organic Dairy Research Farm, students and researchers continue to close the loop of operations through launching a composting program that provides a high-quality compost product and uses compost heat to preheat water for other farm uses. 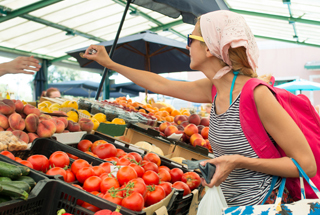 The University of California, Davis was recognized for its efforts to actively prevent and reduce food waste. UC Davis staff proactively gather, track and analyze metrics on a regular basis to identify opportunities to reduce waste further. Ursinus College is the winner in the Colleges and Universities data-driven section, achieving the highest percent increases in their sector comparing year-to-year data. The U.S. Environmental Protection Agency's Food Recovery Challenge highlights outstanding accomplishments in preventing and diverting wasted food in various sectors of the U.S. Released in conjunction with America Recycles Day, Michael Mann, the university's Facilities Operations coordinator, worked with University Video Services to produce a rap video to bring awareness about recycling on campus. Mann played the roles of people involved in the university's recycling program, from an automotive shop employee promoting oil recycling to a grounds crew member who shuttles recycling material. In an effort to reduce their solid waste streams, the University of Illinois Urbana-Champaign and Purdue University have diverted almost six tons of waste from landfills through a recycling program, called RightCycle by Kimberly-Clark Professional, that turns used lab gloves and garments into shelving, flowerpots and furniture. RightCycle is a large-scale recycling program for non-hazardous lab and industrial waste. The student-driven Eco-Takeouts program is an effort to reduce and eventually eliminate the use of plastic foam by replacing disposable takeout boxes with reusable containers at different eateries throughout campus. 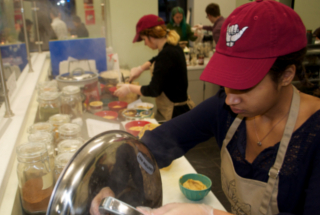 Participants in the Eco-Takeouts program are issued a token, which can then be taken to a participating dining location on campus in exchange for an to-go container. Once the participant is done with the container, they can exchange it for a new token and repeat the process. A new partnership with Michelin North America will select up to 12 students from each school to take two courses that will prepare students to research sustainability and come up with a plan to reduce the amount of waste in tire manufacturing. Students will visit Michelin headquarters in Greenville, South Carolina, a few times throughout the semester to work alongside Michelin employees. A joint project between Indiana University–Purdue University Indianapolis (IUPUI) and Butler University won $50,000 from Kimberly-Clark Professional* in the Sustainable Campus Competition. The funds will go toward a large-scale, commercial composting collection initiative as a means to catalyze a city-wide composting collection program. Their plan will begin with both universities sharing the cost of having a trash hauler cart away the food waste from dining halls at both campuses. The hope is to eventually bring other Indianapolis organizations on board to share and ultimately lower the cost of hauling. 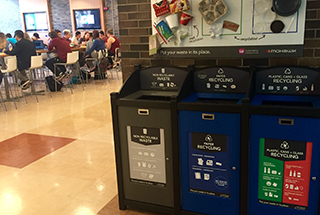 After a study conducted by the student interns during the summer of 2016, the university ordered $3,000 worth of recycling bins and announced a new recycling goal that aims to divert 40 percent of all waste to recycling by the year 2020. Recycling rates were last measured at around 28 percent of total waste in 2015. Building on its momentum to reduce waste from end-of-year move-out and potentially reduce expenses of a first-time move to campus, suite common rooms that have traditionally been bare are now furnished with a combination of a sofa, chair, coffee table and/or computer table. 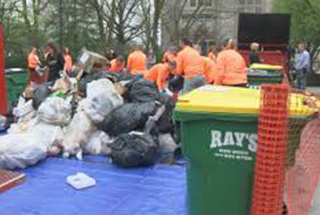 An early-August barbecue event yielded just one bag of trash despite more than 700 participants due to the university's commitment to increase waste diversion rates. The event featured composting and recycling. 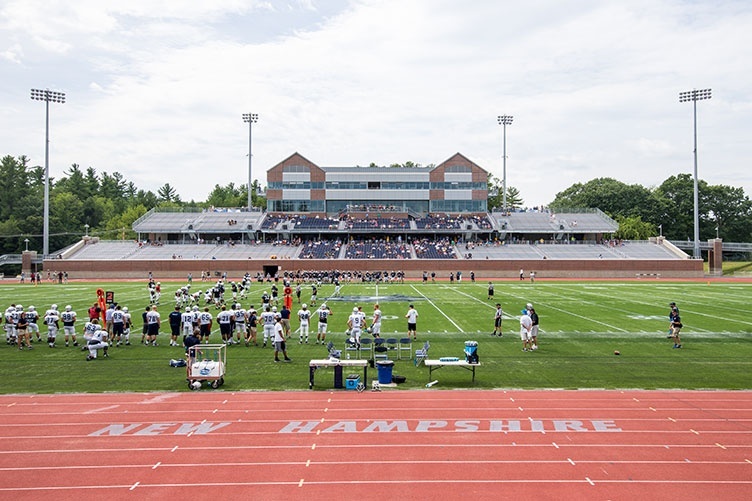 The new football stadium houses 14 concession windows where snacks and beverages are served in either compostable or recyclable containers. Members of student groups and other volunteers, called bin goalies, will be on hand during events to educate guests and keep the zero-waste system working.